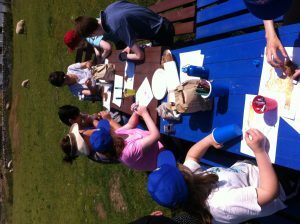 We hosted a treat morning for a small group of pupils from the Castle Douglas high school. 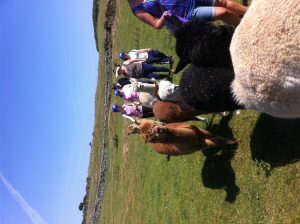 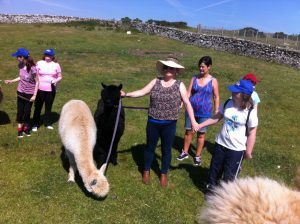 Along with their learning support assistants the pupils had a mini trek, followed by crafts with Alpaca fibre and a chance to feed our alpacas. 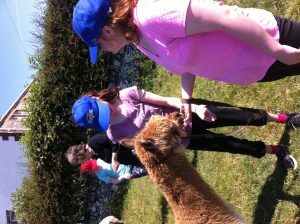 Alpacas being very intuitive creatures reacted to the pupils in a very gentle and quiet manor which allowed the pupils to make the most of the experience.